Our first issue of 2019 kicks off with a look at Australia's mission-critical sector, which is heating up given New South Wales' RFP for a public safety mobile broadband concept last year. 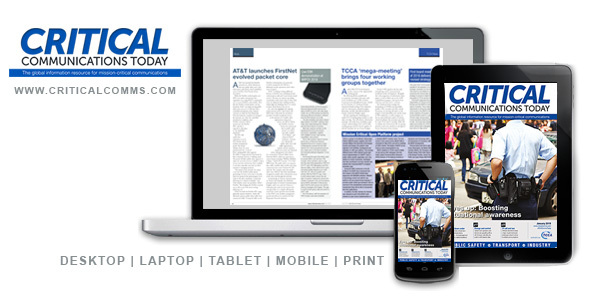 Our first issue of 2019 kicks off with a look at Australia's mission-critical sector, which is heating up given New South Wales' RFP for a public safety mobile broadband concept last year. We also cover last year's PMRExpo, where BDBOS set out its proposals for Germany's transition to mobile broadband, including a hybrid approach to devices that could involve a TETRA module being controlled by a separate rugged smartphone. For a broader looker at some of the issues and challenges facing the critical communications sector, check out our interview with Tero Pesonen, TCCA board member and CCBG chair. 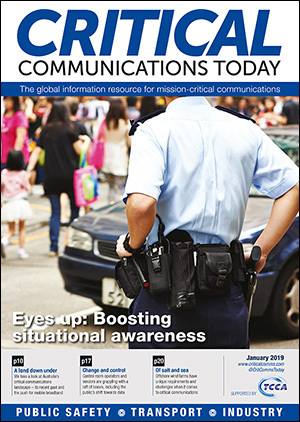 Vendors are working hard to improve first responders' situational awareness and help tackle some of the issues facing control room operators, as you'll see on page 14 and page 17. The issue is rounded out with a trip to Hytera Mobilfunk's HQ and a look at offshore windfarms unique critical communications needs.